So, I’ve been involved with Famil ylife for two and half years. Over that time I have learnt something really important about how my husband and I communicate. So I started to encourage Dave to share some of the things he wanted to do. 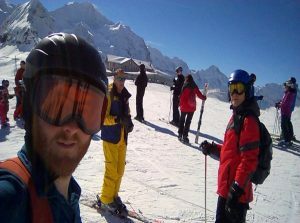 I knew that one thing he really fancied was to go skiing and as I have no desire to go on a ‘holiday’ where I get cold, scared and bruised, I suggested he plan a trip with some friends or family.